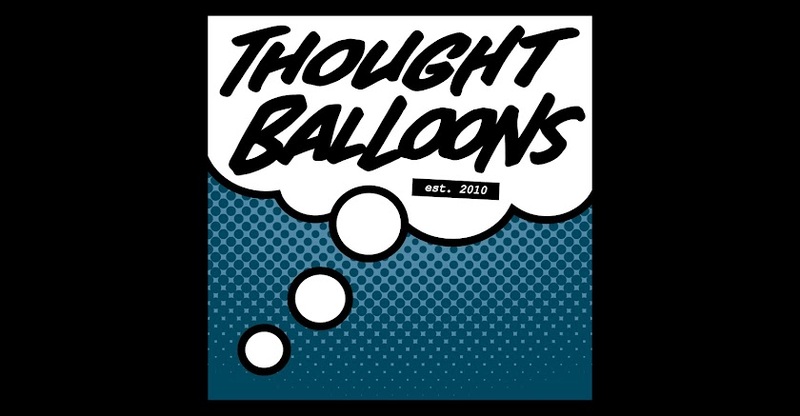 Thought Balloons - Creating Comics One Page At A Time: Why Civil War? Sure, there's a certain movie coming out this week bearing a subtitle that may be spurring the timing of this selection, bu you also cannot deny that Civil War is a clear highmark of Marvel Comics storytelling of the past 10 years. Issues of state surveillance are omnipresent in the society we have built for ourselves, and it was a little thrilling to see part of that conversation play out among an all-star cast of Marvel who's-who. It also helped that the main series was a pretty decent comic story on its own merits, featuring the talents of Mark Millar and Steve McNiven. When you think of the quality and ongoing timeliness of the original work, it's honestly not that surprising that Marvel's movie counterparts would want to bring it to the big screen. There was a time whee I might have been concerned whether a project of such an ambitious scale would translate between mediums, but considering Marvel Studios' track record, my question is more along the lines of how good it will be in comparison to previous films. All of which brings us back to the selection. Whatever the medium, whatever the focus, Civil War is a seed of good ideas that seems to just keep growing. So I throw the task to our tenured writes and any keen play-at-homers to grow their own interpretation and grace Thought Balloons with the fruits of your labour. May the best side win. If you want to play along at home, feel free to put your scripts under the Why? post for the week. Home - Home – MK Stangeland, Jr. The Tick: "Origin Story"--David Press. GO: “Gentse Fiesten” --David Press. Go – Go The Distance – MK Stangeland Jr.